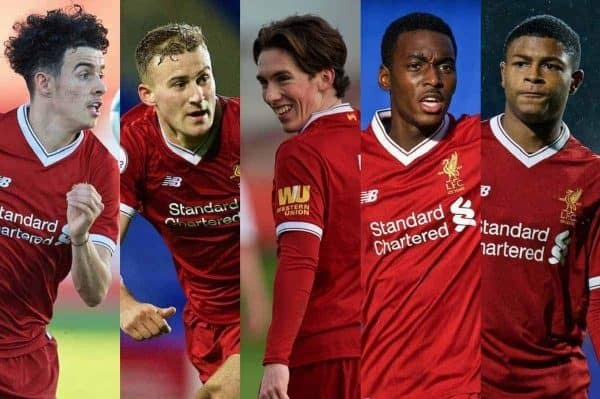 With the season coming to a close for Liverpool’s academy sides, here are the 10 youngsters who have stood out the most on Merseyside in 2017/18. Both the U23s and U18s have wrapped up their competitive campaigns, with a summer reshuffle to come following Steven Gerrard’s move to take over at Rangers. Gerrard led his young side to third in the U18 Premier League‘s North Division, as well as the fourth round of the FA Youth Cup and the quarter-finals of the Premier League Cup and the UEFA Youth League. Meanwhile his U23 counterpart Neil Critchley oversaw a second-placed finish in Premier League 2, along with making the last 16 of the Premier League Cup and the quarter-finals of the Premier League International Cup. 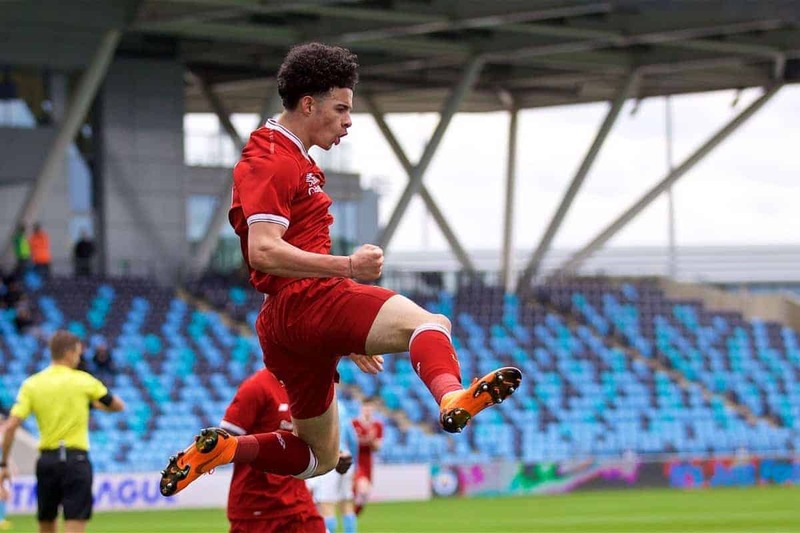 With a host of players departing for loan spells across the Football League in January it was, as ever, a season of constant change at the Liverpool academy, but also one of major progress. Here are the 10 young stars who stood out to us at Kirkby this season. 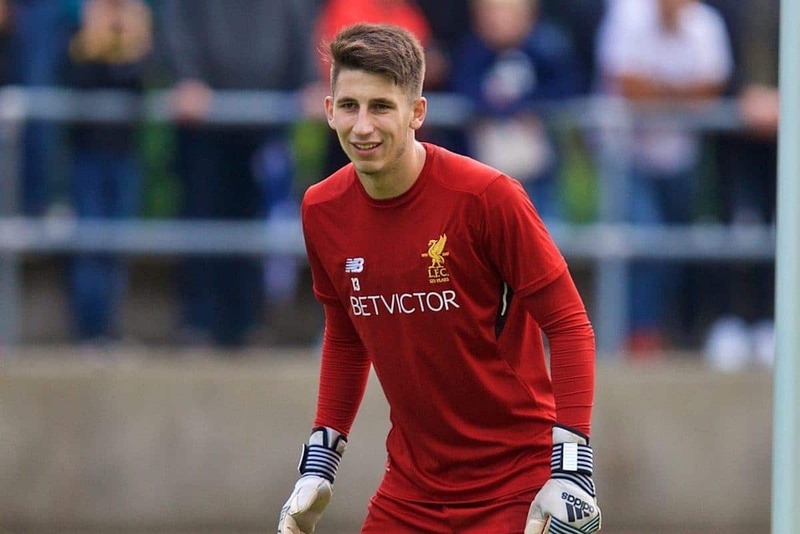 Kamil Grabara began the season faced with competition from Caoimhin Kelleher, Andy Firth and the recovering Shamal George for the role of first-choice goalkeeper at U23 level. The imposing Pole has now firmly established himself as the leading ‘keeper in the Reds’ academy, and is a regular working at Melwood under Jurgen Klopp and often on senior match-days. His was a campaign of sheer consistency, honing his craft as a fine shot-stopper, a progressive sweeper and a swiftly improving presence in the penalty area. Such is Grabara’s talent and potential that it would not be out of the question to see him promoted to third goalkeeper for the first team next season. In light of injuries to Joe Gomez and Joel Matip, Klopp has called upon Conor Masterson and Nathaniel Phillips to flesh out his senior ranks in training. 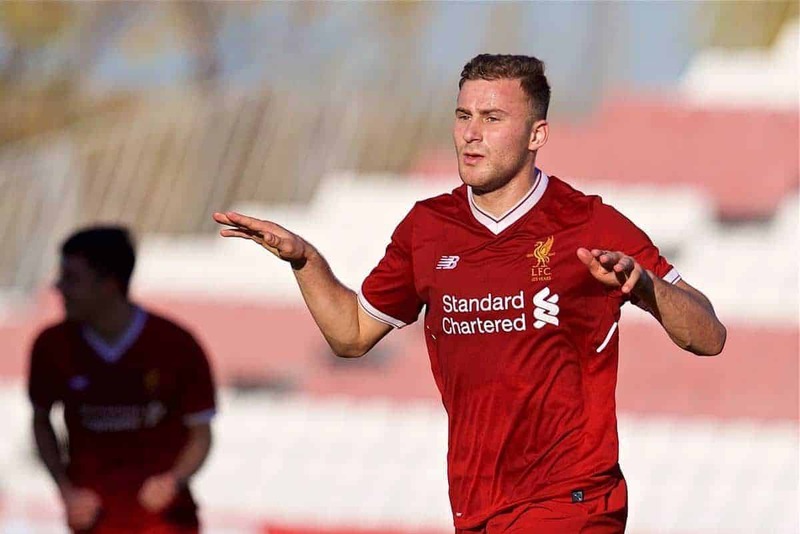 But the standout centre-back in the Liverpool academy this season has been Scotland youth international George Johnston, whose committed performances have been crucial for the U23s. Johnston is an old-fashioned defender whose penchant for a last-ditch challenge has caught the eye, but throughout the campaign he has also displayed a more refined, composed approach in possession. The 19-year-old signed his first professional contract with the club last May, and over the past 12 months has showcased a reliability that will see him carve out a fine career. This has been a breakthrough campaign for Adam Lewis, and as a young Scouser working under Gerrard at Kirkby it has been hugely encouraging to watch. 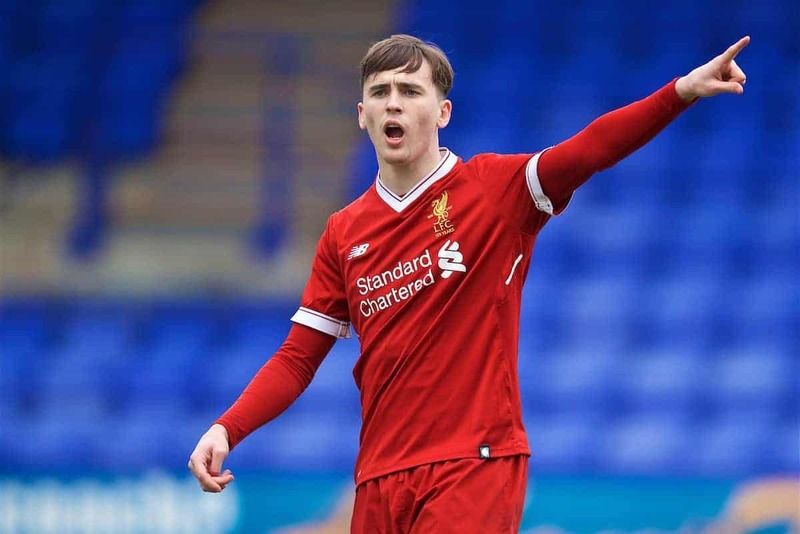 Lewis made the step up to U18 level last term, and continued his fine development by taking up the armband for Gerrard’s side, operating in a new left wing-back role in a 3-4-3. His energy, industry and excellent delivery from out wide and set-pieces made him a key outlet for the U18s, and his standout displays earned him a move up to the U23s on the turn of the year. Lewis signed a new contract with the club in December, was called up to the England U19s in March and ended the season with an influential showing in the 3-1 win over Everton in April. After a season marred by injury last time out, Herbie Kane firmly imposed himself at academy level this season, emerging as a leader in the U23s’ midfield. Initially joined by the likes of Matty Virtue and Ovie Ejaria, Kane saw his more experienced fellow midfielders leave for loan spells in the winter and clearly took it upon himself to step up. He adopted the captain’s armband and served as a role model for Elijah Dixon-Bonner, balancing his defensive duties with important strides forward into attack. Though not a regular at Melwood, Kane trained under Klopp on a number of occasions this season, and it is no surprise why, having made up for lost time in impressive fashion. 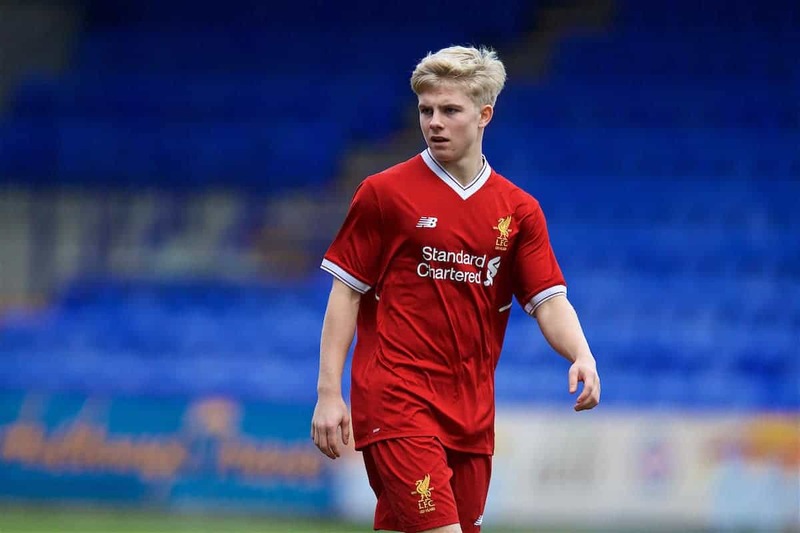 Having joined from FK Neset last summer, Edvard Tagseth quickly established himself as a regular under Gerrard for the U18s. Though diminutive in stature, Tagseth took to English football quickly, with his robust, high-energy approach and cultured passing lending him perfectly to Gerrard’s exhausting system. Unfortunately, Tagseth picked up a season-ending leg injury in February, with his sights now set on a strong campaign next time out. The star of Liverpool’s academy in 2017/18, this was the season that saw Curtis Jones announce himself as a future first-team regular under Klopp. A prodigious attacking midfielder, Jones is able to shine in any number of roles, adept at both starting and finishing moves, taking players on, creating chances and finding the back of the net. Having made his U18s debut midway through last season, Jones not only took up a key role under Gerrard this term but went on to become a regular fixture for the U23s later in the campaign too. In February he was drafted into first-team training and has remained there since, and his place on the bench for April’s Merseyside derby is a sign of big things to come. 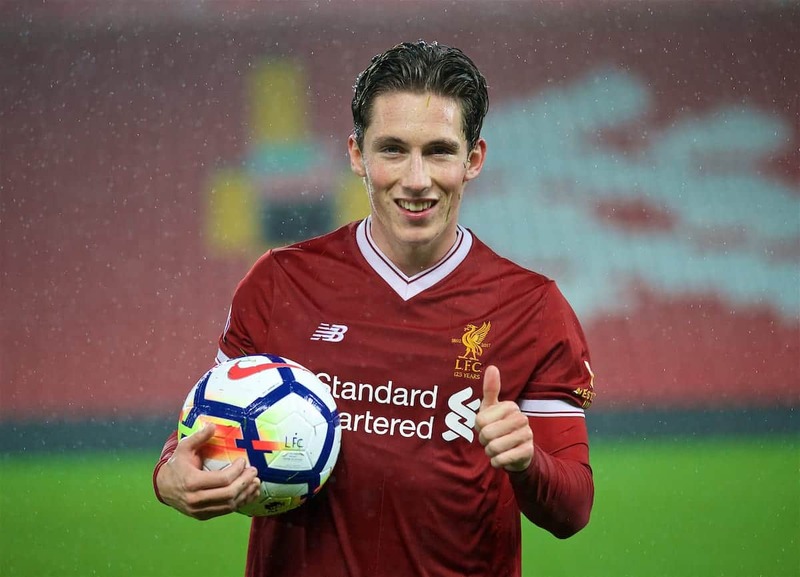 The first half of this season will have been hugely frustrating for Harry Wilson, but he harnessed this productively by continuing to make his mark on the pitch. In just 16 appearances for the U23s before the turn of the year, the long-serving winger scored 12 goals and assisted a further 10, but a first-team role strangely eluded him. Wilson pushed for a loan move in the winter window, and his decision was vindicated as he hit the ground running at Hull City, scoring seven and assisting four in 14 games. Having made the progression into senior football with ease, Wilson is now a regular for Ryan Giggs’ Wales side, and faces a decisive summer as he bids to compete with Sadio Mane and Mohamed Salah. 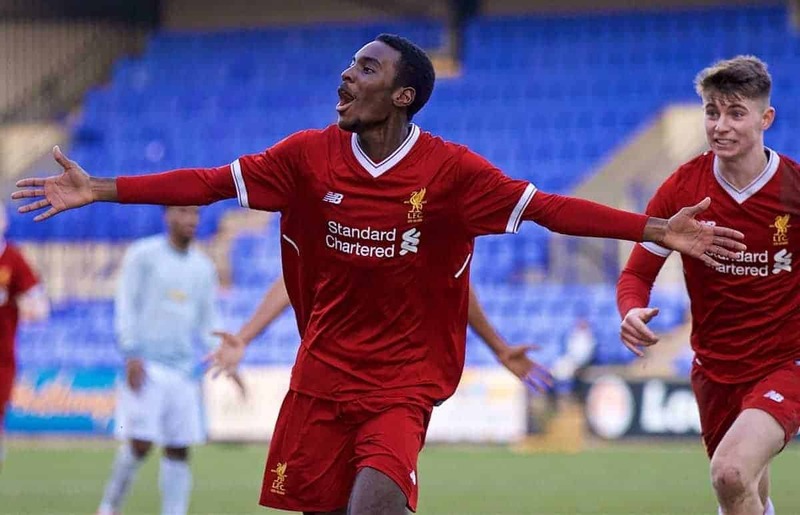 In the first half of the season, Rafa Camacho was a low-profile regular in Gerrard’s U18s side, scoring consistently but rarely standing out among the likes of Lewis, Tagseth and Jones. 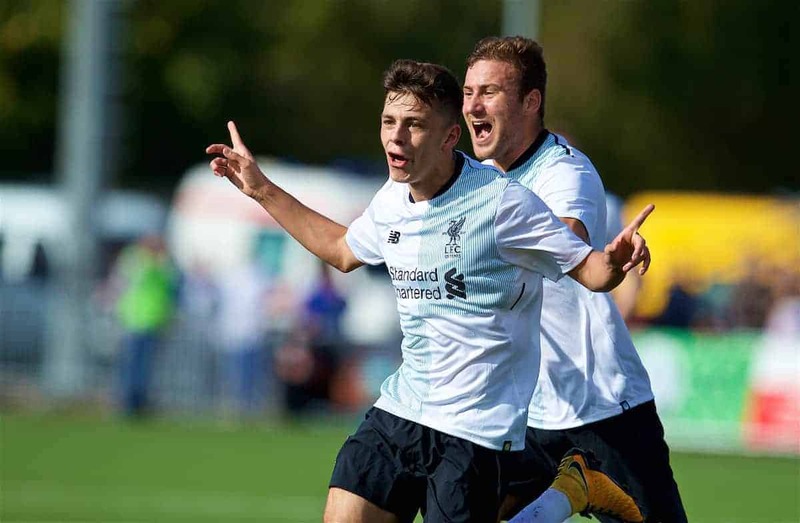 But one week in February changed his fortunes, beginning with a wondergoal in the 2-0 win over Man United in the UEFA Youth League and culminating in a call-up to training at Melwood. At the beginning of the campaign Bobby Adekanye seemed the most likely winger to shine in the absence of Sheyi Ojo and Ryan Kent, but Camacho’s willingness to adapt and develop has seen him surpass his elder counterpart. The youngster’s versatility, shifting from wing-back to a drifting wide forward, has allowed him to improve his all-round game, pairing skill in the final third with an impressive work ethic. Like Jones, Camacho is now a regular in Klopp’s training sessions, and he could be considered for a first-team role next season too. Rhian Brewster could easily have been overlooked having spent the second half of the season out through injury and another month away with England at the U17 World Cup in October. But the striker deserves a place on this list for his performances with the Three Lions, where he won the Golden Boot on the way to lifting the trophy in Kolkata, as well as his consistency when turning out for Liverpool. Brewster’s predatory instinct in the penalty area often overshadows his all-round quality, as a hardworking, creative forward who confounds the label of pure poacher. 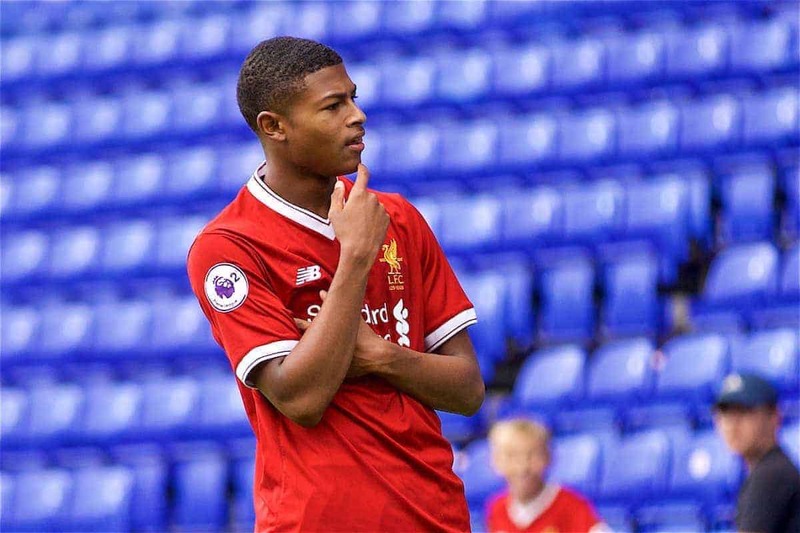 It is unfortunate that Brewster is now likely to leave the club for a move to Germany, but he should be commended for what will be a bold step in pursuit of regular first-team football at just 18. 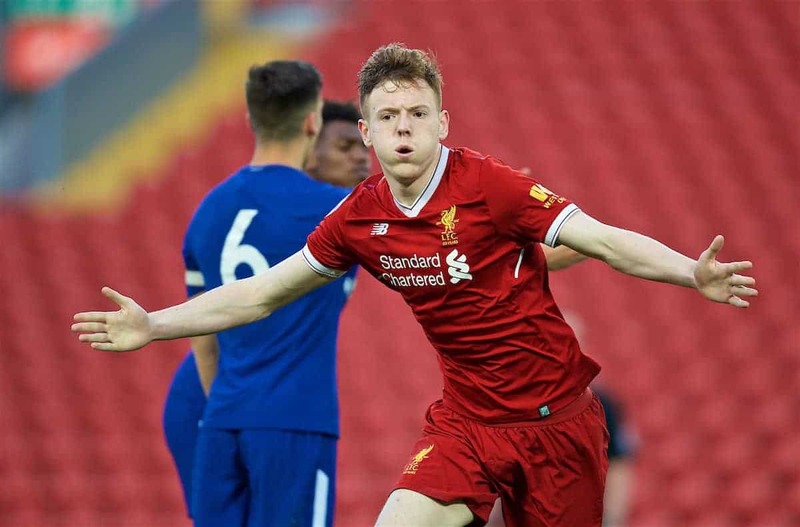 Brewster’s rise to the fore for club and country saw Gerrard tasked with finding a new goalscorer for his U18s, and he quickly settled on Liam Millar as his pet project. Millar took the challenge and exceed expectations, with 11 goals and seven assists in 13 games for the young Reds in the first half of the campaign. His output diminished as the season progressed, but Millar’s impact had already earned recognition from Klopp, who name-checked the striker in February along with Jones and Camacho. It remains to be seen what 2018/19 holds for Millar, but his performances suggest a continued rise through the ranks is on the cards.